Looking for Package Deals to Gulf Coast/Biloxi? We have those too! Known for being a lighthearted city, no wonder Biloxi triumphantly stood the test of time. Just a comfortable driving distance from across the United States, Biloxi is home to the first golf course in Mississippi in 1908. “The playground of the South” offers absolute pleasures anyone will not ask for more. With over 20 championship courses to play around with, abundant coastal dining options, numerous historical landmarks to visit and a diverse number of things to do, this ultimate gulf coast gem will undoubtedly become a treasure you'll always keep. Find out why the best golf course architects in the world built their best here. Biloxi invites you to come and share her precious winning moments. Come by land, air or sea and be free with the Southern hospitality! 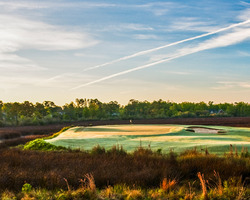 Golf Digest named Shell Landing among "America's Best New Courses" after its opening and ranked the Davis Love championship design #5 in America as the "Best New Upscale Public" category, and the only one in the top 5 located in the South. Exemplary personal service, five sets of tees, and immaculate course conditioning help make a visit to Shell Landing a rewarding, enjoyable experience for golfers who demand the best. A beautiful clubhouse and deck offer every amenity. 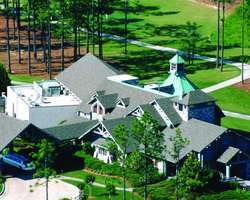 Shell Landing features a complete 25 acre practice facility, locker rooms, personal bag service/storage, and pro-line rental clubs are available. 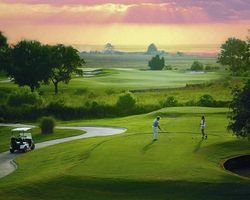 The Preserve Golf Club was designed by Jerry Pate, U. S. Open champion and award winning golf course designer. Mossy, majestic live oaks reach out over the course and tall, slender long leaf pines line the generous fairways. Wild, wiry grasses disperse texture and color against the smooth, rolling greens. The uniquely Southern cypress swamps, marshy wetlands and pitcher plant bogs scatter the area, adding diversity to the landscape and challenge to the game. The Preserve Golf Club is golf the way nature intended: uninterrupted, undisturbed, unparalleled, unbelievable!